These papers are Fancy Pants papers and the pic was taken just after I fell into the canal just outside Stratford Upon Avon, I trod on grass that didn't have any land underneath it! 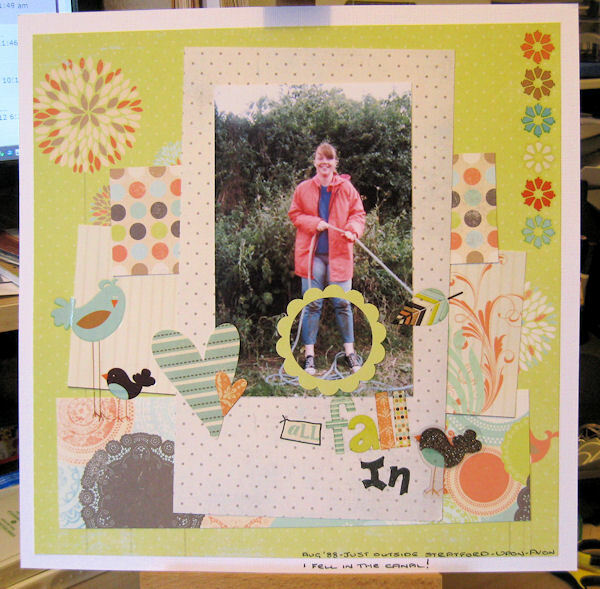 These are Lovely Ruth, you work so well with pattern papers. lol @ the canal dunked photo. Ha, ha. They're both smashing Ruth. The papers are great too. Those were the days eh! Lovely to see these pics of you young free and single (I'm guessing). You've made very good demo pieces there as well as them being great LO's for your own album. Lovely papers and LO's Ruth, especially like top one. 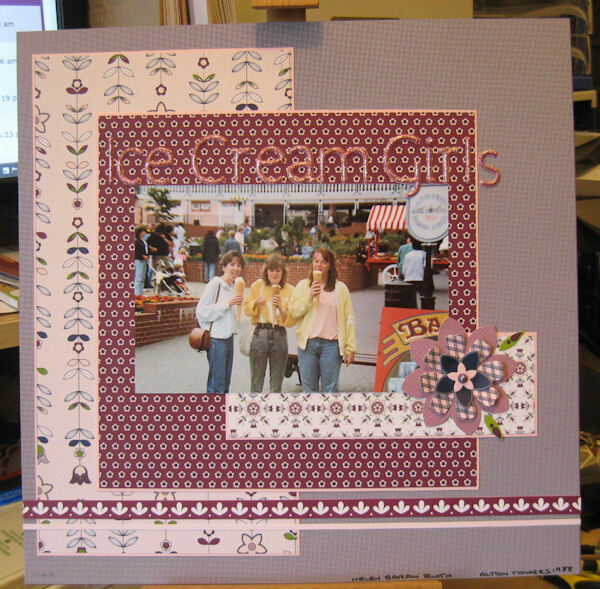 thriftycrafter wrote: Those were the days eh! Lovely to see these pics of you young free and single (I'm guessing). Not quite, I was engaged at the time although I seem to remember we had a row in Stratford Upon Avon and the ring did get thrown at him! super layouts Ruth, and I too love the papers in the top one and the title too, it all goes perfectly. i can't remember you saying you had done boating ruth , did you do it much ? Great layouts Ruth, I love the bottom one.